Having grown up in cooler climes and despite the heat in Brisbane I can’t help yenning for a little tradition at Christmas. So every now and again I test the nether limits of our air conditioner and yield to a little yuletide indulgence. This year it was Manu’s roast beef with red wine reduction (from Manu’s French Kitchen) that had me hanging out for some of those perfect little puffy pillows of heaven – aka Yorkshire puddings. By Manu’s own admission, the French stole their roast beef from the English, so the two work stunningly together and despite being ridiculously easy, it’s a perfect Christmas dinner-party pleaser. Be warned though – it’s all about the timing. Trust Manu when he says DO NOT cook your beef past medium-rare. And absolutely DO plate your beef before slicing (general rule is to plate for half the time it took too cook). I served mine with simple roasted pumpkin and baby peas soaked in boiling water (I never actually cook them). Preheat the oven to 230°C and mix the batter ingredients together. 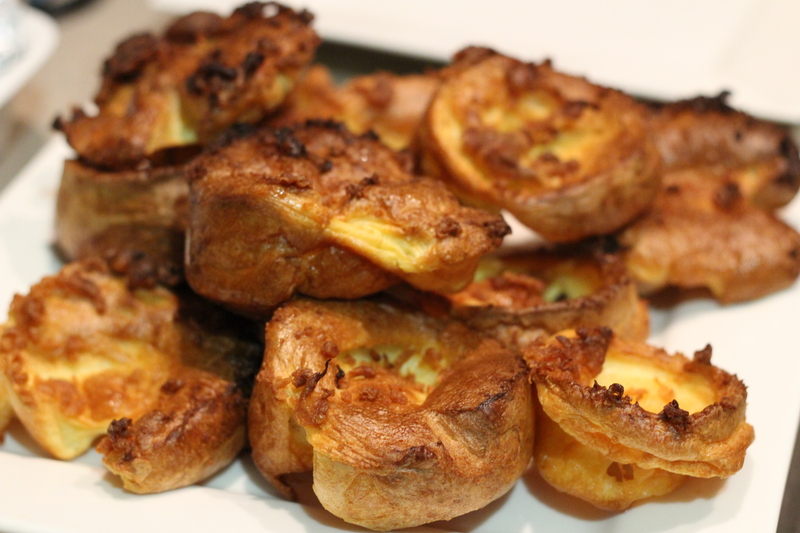 Preheat a Yorkshire pudding (or muffin) tray with 1 cm of oil in each section. After 10 minutes, remove from the oven and divide the batter into the tray. Don’t be alarmed if it looks like it’s curdling – this is dead right. Cook for about 30 minutes until crisp. Do not open the oven door before then or they will not rise. If you want to save yourself the trouble (and don’t have a pyrolitic oven), a handy tip is put wax paper on your full-sized roasting tray and place your muffin tray on top of it so it catches any oil spillover. 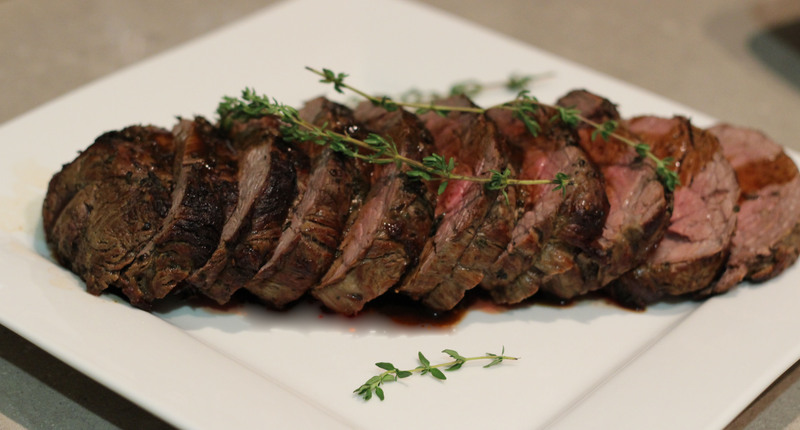 You’ll find Manu’s roast beef recipe on page 117 of Manu’s French Kitchen. This is one of my favourite recipe books, albeit French cooking is generally loaded with love (aka butter), every now and again there’s nothing like it. You can get Manu’s books here. 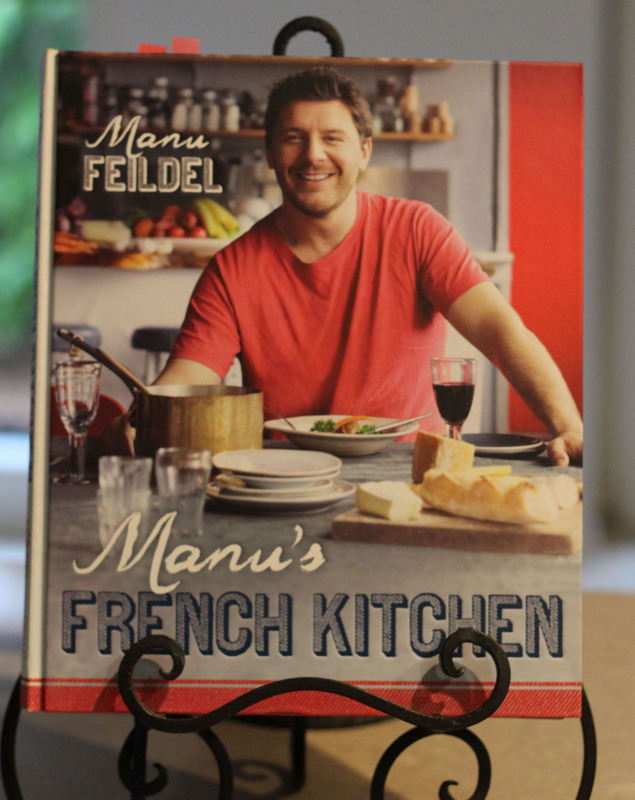 His latest (Manu’s French Bistro) is number one on my wish list and if you haven’t seen any of the Boy’s Weekend series, they’re great fun to watch. Posted on December 29, 2013 by lynnewarren	• This entry was posted in Home Made and tagged Beef, Boys Weekend, Christmas, Christmas dinner, Manu Feildel, Manu's French Kitchen, Yorkshire pudding. Bookmark the permalink. Pecսliar article, exactly what I was looking for.